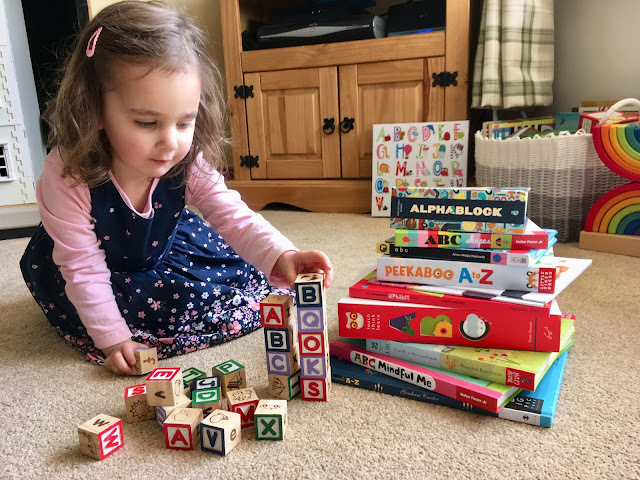 BookBairn is really loving spotting letters all over the place at the moment! She is particularly fascinated by the letter 'L' - I'm sure you can guess why?! After all her name isn't actually BookBairn! 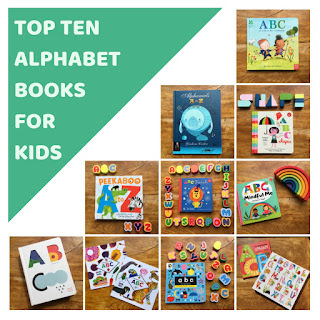 So we've been exploring lots of alphabet books and activities so I've got some of our favourites to share! One of the most stylish books in our alphabet collection this little cube-shaped book with gorgeous cut-out letters and corresponding illustrations. I love that the letters are cut out and encourages little fingers to trace over and explore them and I love that the letter comes first and you have to turn it over to see the corresponding illustration, which is beautifully drawn/painted. Obviously with two pages for each letter (one of the letter and one for the illustration) it is quite a chunky little book, as are all the books in the series but it is so well-crafted and quite small so not too heavy and both the bairns love to explore this one on their own and with mummy! This is a book we've had for quite a long time (if you want to see photos of baby BookBairn reading it check out our old post here). This is a large and sturdy board book (two years later and not a singe rip or lost flap with flaps that small hands can flip with ease, illustrations that are utterly adorable and silliness that will appeal to grown-ups and little ones alike. It has an animal for every letter of the alphabet and with alliterative text, it extends it's appeal far beyond little ones who have already mastered their initial sounds. The short sentences and corresponding illustrations mean that these books will also be great for early readers. So it's no wonder we are still enjoying it! 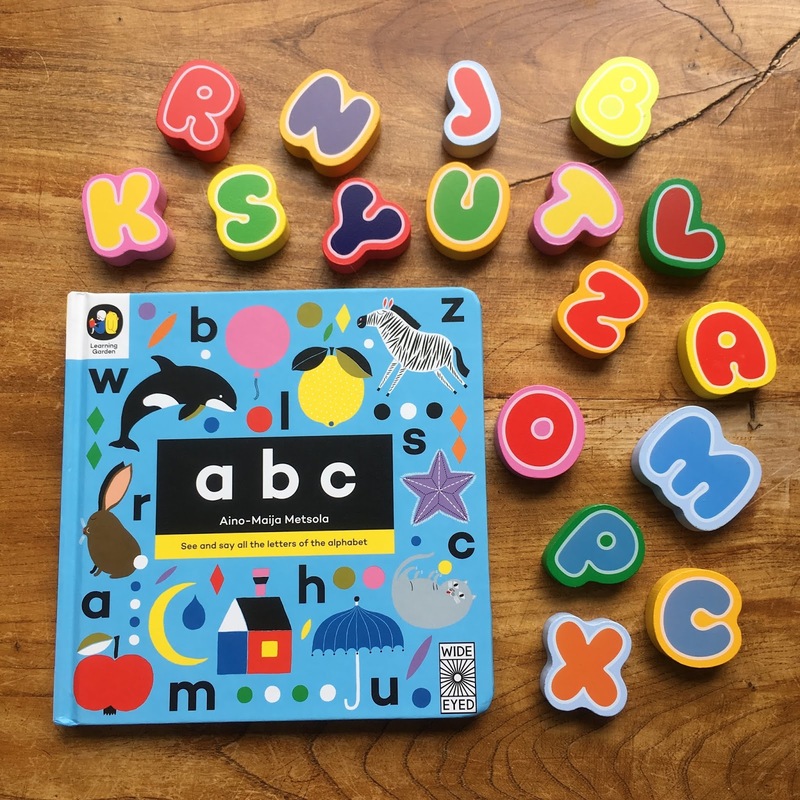 This is a stylish collection of illustrations using bright bold high-contrast colours making it a perfect first ABC book for babies. I love the 'Learning Garden' series of books as they feature some common images - a for apple, b for balloon etc but the illustrations are crisp and stylish! 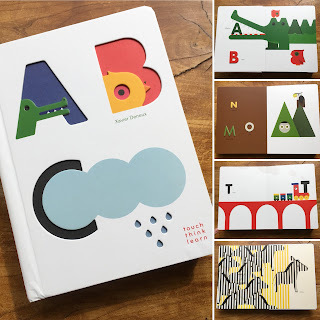 The bold, graphic designs paired with the large images are perfect for little ones who love high contrast books still and I love the fact that it mixes both upper and lowercase so that children can see both alongside each other. 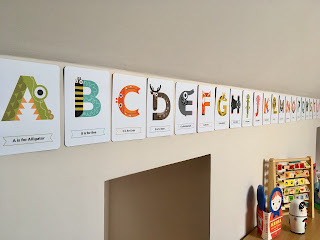 As a teacher I see a lot of letter activities focussing on capital letters but we want children to make connections with lowercase letters too. BookBairn and The Wee Page Turner love reading this one together! We love the Touch Think Learn books and both the kids love to explore them with an adult or by themselves though it is worth noting that this is an extremely large and heavy book so it's one for reading stretched out on your tummy on the floor! 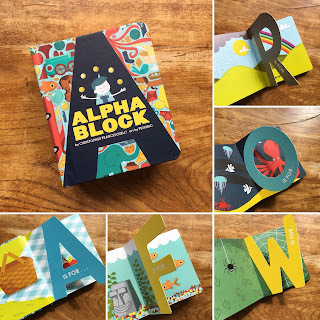 Featuring spreads that have one page with raised shaped objects that neatly fit into the scooped cutouts on the opposite page, they are such a wonderful multi-sensory books with letters and corresponding illustrations. BookBairn loves looking at the bold, bright illustrations and tracing her fingers over the raised and cutout shapes as well as beginning to say the names of the pictures. This is an abc book to touch, think and learn with! If you're looking for an alphabet book for slightly older children, or children who require a bit more than just ABC then this is the perfect book for you! Alphamals is just magical! The illustrations are both soft and bold using a sumptious graphic design. I love the depth that is created in the patterns that add a wonderful texture. The accompanying text is a lovely short poem for each animal that will teach you a thing or two about many creatures from all corners of animal kingdom. There's a fairytale quality to this one and you could easily forget that it's an alphabet book! A mesmerising book! These two books are another pairing where the alphabetical order comes second to great lyrical rhyming phrases and collage illustrations that will visually engages readers. One exploring the animal kingdom and the other perfect for food enthusiasts, both these books read like long poems which are coincedentally in alphabetical order. 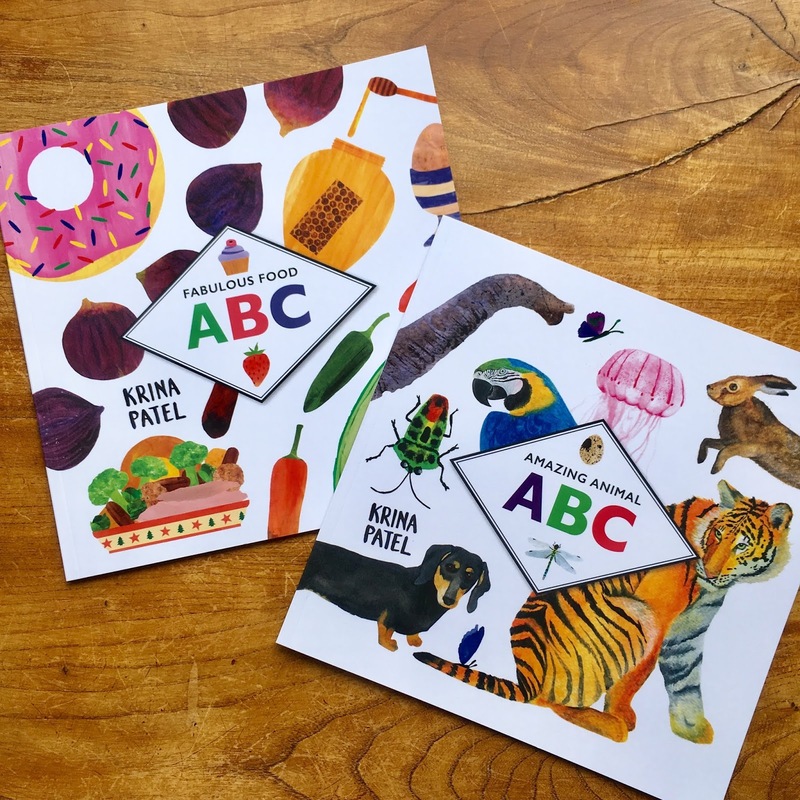 I particularly love the food one - as there are lots of alphabet animals books so it seems a little different and I loved exploring new and unusual foods from all around the world. These books are bright and colourful and are great fun to explore together! 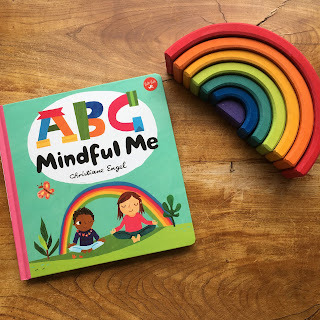 We shared this one recently as part of our list of Meditation and Mindfulness books for kids but of course we love it so much it has to be part of our ABC list too! It pairs each letter of the alphabet with a word that teaches children about mindfulness principles like compassion, empathy, gratitude and kindness. The illustrations are bright and playful and the rhyming phrases on each page make it lovely to read aloud too! There are so many things you can talk about with this book but I love that it has taken an ABC format and turned it into something so much more meaningful, powerful and enjoyable. 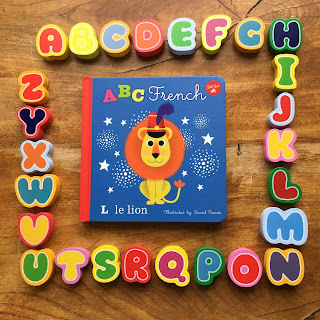 If you are looking for something a little different for an alphabet book why not try one in a foreign language? 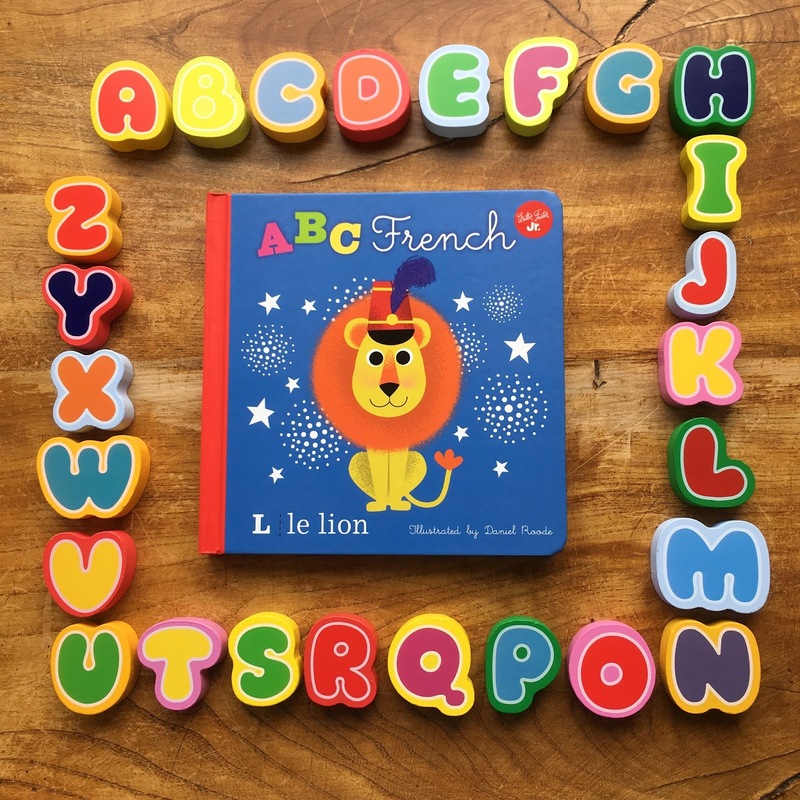 I couldn't resist this French one (as I lived in Paris for a year during my studies) and I love exploring the language with my two petits bairns! The graphic illustrations are so appealing and the friendly characters are incredibly adorable. It's also another book which makes great use of bright high-contrast colours to appeal to little readers so it's a really great way to explore language and sounds with your little one. And of course, BookBairn loves telling me "that's not the real word, mummy" and correcting me! Each French word has the corresponding English underneath and for those who aren't confident in pronunciation there is a pronunciation guide to make it fun and easy for you too! If you fancy exploring multilingual books this is a great way to start! 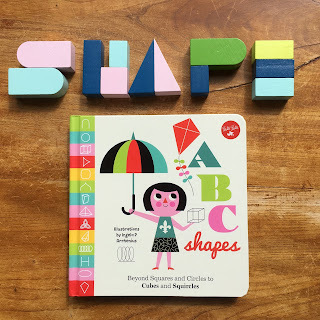 This is such a quirky alphabet book introducing children to unusual shapes and will no doubt help your little one learn about the alphabet and shapes at the same time. The illustrations are vibrant and engaging and its use of shapes make it rather unique and special! This book has certainly taught me a thing or two about shapes using unusual and lesser-known shapes like nanogons and helixes to share a shape for every letter of the alphabet. Little artists and engineers in the making will love this! Such a unique and special look at both shapes and the alphabet. This is one for readers who want to think outside the box (square, cube... you get the idea!). 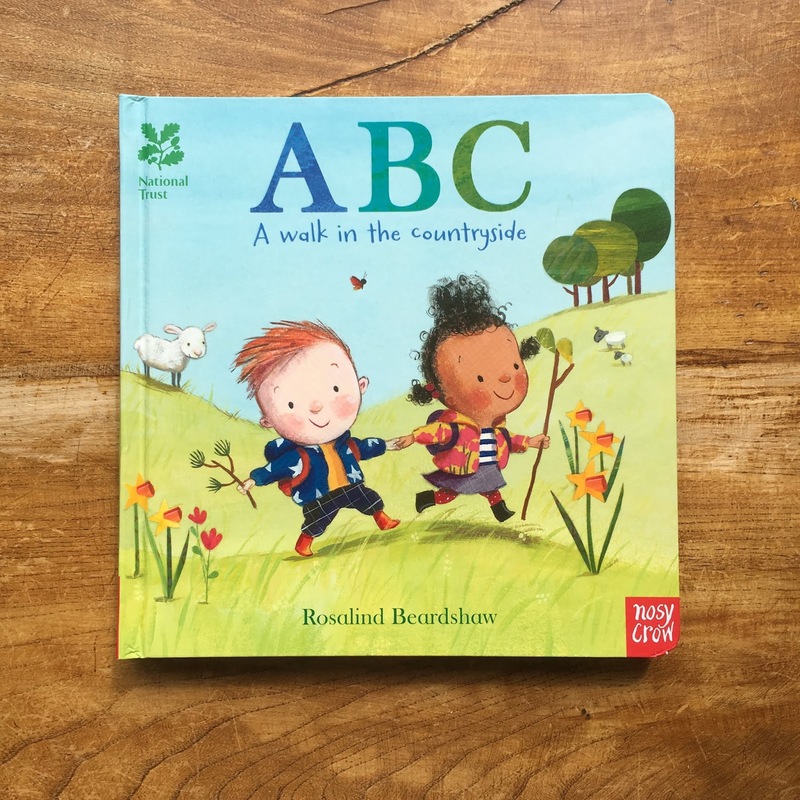 Part of a series of first concept books, created alongside the National Trust, this board book takes young readers on a Springtime walk through the countryside spotting things from nature (in alphabetical order) along the way. Created with a gentle narrative, loveable animals and lots and lots of things from nature to spot and name, this is a lovely book to explore together. 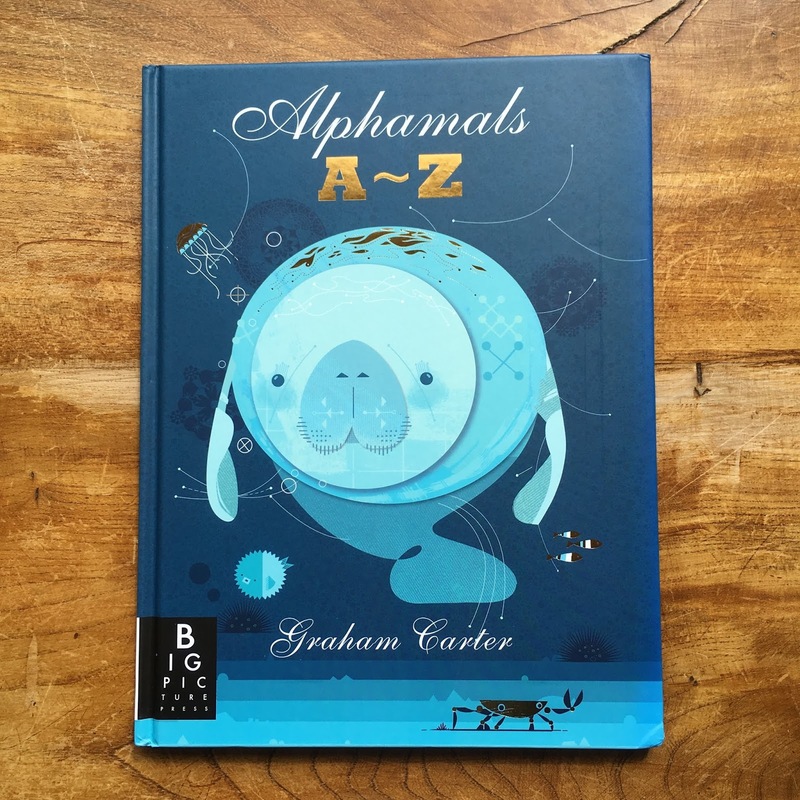 The beautiful and soft illustrations are incredibly appealing and will have you wanting to pack a picnic, a magnifying glass and get your wellies on to go out and explore all the sounds of the alphabet on a wonderful wildlife walk! This book and canvas combination have been of great interest to BookBairn as she loves to point to all the pictures on the canvas and talk about the things she can see and is beginning to tell me some of the letters too. 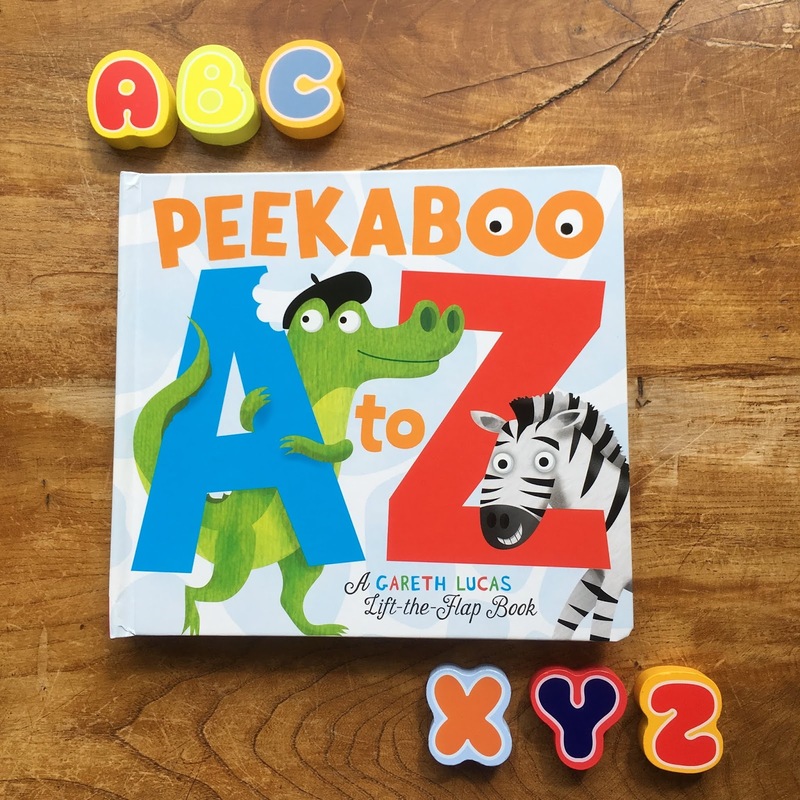 The accompanying book is a fantastic introduction to letters: each page is filled with several words and pictures for each letter. 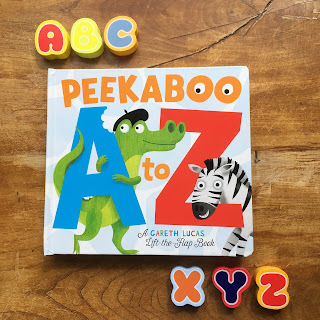 The illustrations are adorable and clearly labelled and it's a great way to explore the alphabet together. Not a book but so beautifully illustrated I just had to include the alphabet cards from Jam Tart designs. We have these all stuck up in BookBairn's new room and she loves to take her fairy wand and tap them as she sings the alphabet song. If she gets out of place, she uses the illustrations to catch up and match the sound to the letters. These are really beautiful and make a wonderful gift! And there you have it! It's a long list but these really are some of our favourite ABC books! DISCLAIMER: The majority of the books in this list (except Alphablock) were sent to us by the publishers free for review purposes. 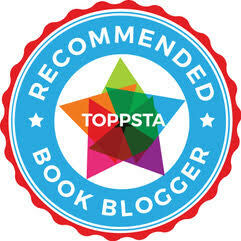 Please know that our review policy is that book sent for review are accept on a review consideration basis meaning that I only review ones we really like. That's our quality guarantee to you. If you want to know more about our review policy it's available here. Words and opinions are our own. What a great set of ABC books. I love it when BookBairn and I are out for a walk and she spots letters and numbers and, of course, I am Papa CBA. She has a particular fondness for the 64 bus! Thanks - they are great letter cards because they are pretty stylish to have on display! I am planning a number list as well but there seem to be lots more number books that I have to choose from! What a lovely selection of books. I particularly like the look of Alphamals. I'm very impressed that your more delicate books are still intact. My kids could never be trusted with lift-the-flap or pop-up books and my niece and nephew are just the same! haha! Yes - BookBairn was pretty reliable and has always been gentle with books but The Wee Page Turner is a completely different story! A lot of these are quite new releases! Merci! And yes you should! I want all of the 'block' series - so beautifully designed! I was surprised by how durable they have proved! And love Gareth Lucas's illustrations! Yes - this whole series are great! I want them all. Though they are a little pricey so have to pick favourites! Thanks - yes it's definitely great for older kids too!